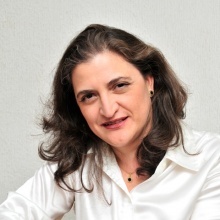 Lorena Carreño is the CEO of Marketing Q Strategies & Communications , Vicepresident of the Communication & Marketing Industry Confederation (CICOM Mexico), Advisory Board (past President) of the Mexican Association of Public Relations Professionals (PROPR Mexico), Advisory Board at CONAR (Mexican Council about Advertising Ethics), and Member at AMCD (Mexican Communicatins Academy). She has a Bachelor’s Degree in Communications Science and a Masters Degree in Marketing has a little more twenty years of expertise in the area of corporate communications. Lorena has developed and coordinated corporate communications and public relations programs for various companies like Neoris from the Cemex Group GlaxoSmithKline, ROCHE and Armstrong Laboratories, 3M, Canon Mexicana, New York Life Insurance, Genworth Insurance and also for Technology Information companies like Attachmate, NetApp, Teradata, NCR, Canon, Socialmetrix, and IT Complements, among others. Ms Carreño currently leads Marketing Q Strategies & Communications, a Public Relations and Integral Communications consulting firm established in 1992 that offers communications strategies in Public Relations at 360 degrees and forms part of a regional agency network in Latin America and cooperates with partners in Spain. She has received various accolades for her career achievements, including the International Who’s Who of Professional and Business Women 1999 - for Significant Career Achievements and Contribution to Society. She has participated as a speaker in numerous academic forums focusing on marketing, communications and public relations, she is often invited as a panellist at the World Communication Forum in Davos, Switzerland, and she has rendered talks at SXSW in Austin, Texas, and CONFIARP´s Congress. Lorena has served as a tutor, teaching students in master's programs specialising in Public Relations at the Universidad Panamericana. She is the co-author of the books "Teaching Communication and Latin America", edited by DIRCOM, and "Communication in organizations 100 authors in 500 words", edited by AMCO. She likes art, music and wine. She is a professional Sommelier. You can find more about her at: about.me/lorecarreno.